Life is Strange: Unwind Your Destiny. For gamers who’ve been craving solid stories where the player has real agency the last couple years have been a real boon with dozens of titles being released. Telltale remains the king of this particular genre and their style can be seen influencing nearly all others, for better or for worse. 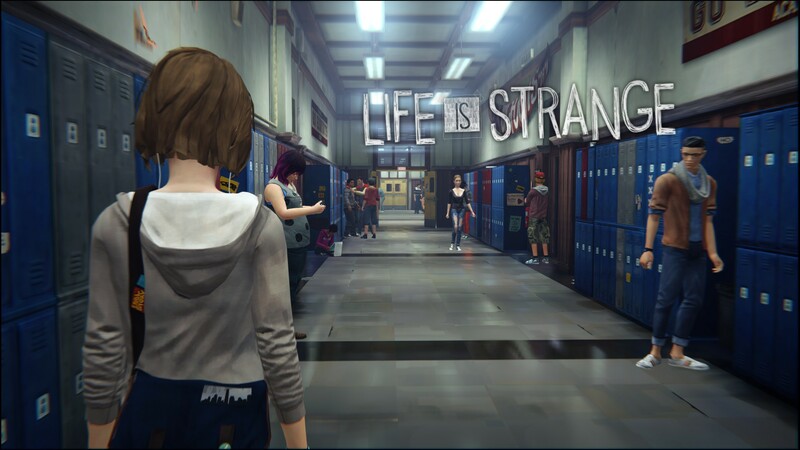 Life is Strange, the second game from Dotnod Entertainment who’s only previous title was the rather lukewarmly received Remember Me (although I quite liked it), definitely draws inspiration from the Telltale style but strives to stand out through their use of mechanics and more down to earth setting. For the most part it pulls this off however there are a few key things that, unfortunately, get in the way of the story. Max had always dreamed of this and it was finally happening: she was going to Blackwell Academy to study under one of her photographic idols. It was so surreal coming back to the place she left 5 years ago, her home town having changed in subtle ways. Everything was going well, or as least as good as it could be given her shy and recluse nature, until she found herself in the grips of a strange nightmare in the middle of class. Upon waking however it appeared that she wasn’t asleep and events that had happened before seemed to be happening again, like the strongest case of deja vu you would have ever experienced. Her return home was about to take a turn for the supernatural. The art style was described by the developers as “impressionistic rendering” which essentially boils down to them using hand painted textures. In some parts this works well, especially in the wider shots where the detail isn’t so important, however up close the stylization loses its lustre very quickly. This lack of detail is present in almost all scenes from the character models to the environments to even the animations which, jarringly, never seem to line up with the character’s speech. 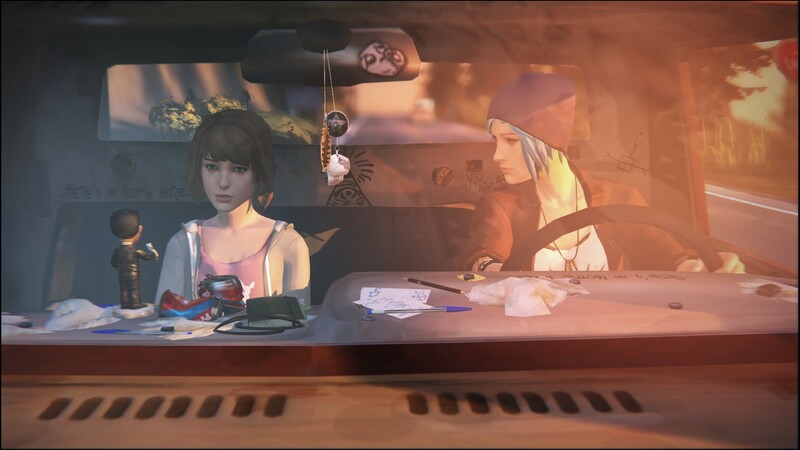 Indeed out of all the aspects of Life is Strange the visuals are the weakest, often getting in the way of the story coming across due to how jarring they are. Life is Strange is your typical story-first adventure title where the focus is on developing the story and characters whilst giving you some real agency in sculpting how the story develops. However you’re given the unique ability to rewind (but not fast forward) time, allowing you to do things that would otherwise be impossible. Interestingly this ability is extended to all the key decisions within the game, allowing you to see how each of your choices would have played out. You can’t rewind infinitely though but it does give you an indication of how a particular decision would’ve played out and the potential consequences that could arise from it. Apart from that there’s a few rudimentary puzzles thrown in here or there, all of which make use of the rewind mechanic, but they’re a minor distraction from the rest of the game however. For those of you who played Remember Me the rewind mechanic will be somewhat familiar as it’s very similar to the memory replay mechanic. Most of the time you’ll be rewinding to try and catch some kind of detail or figure out a series of events that needs to unfold in order to progress to the next stage. Interestingly items you pick up and your position in the world don’t change when you rewind, something which takes a little getting used to since that’s different from most other time travel games I’ve played in the past. 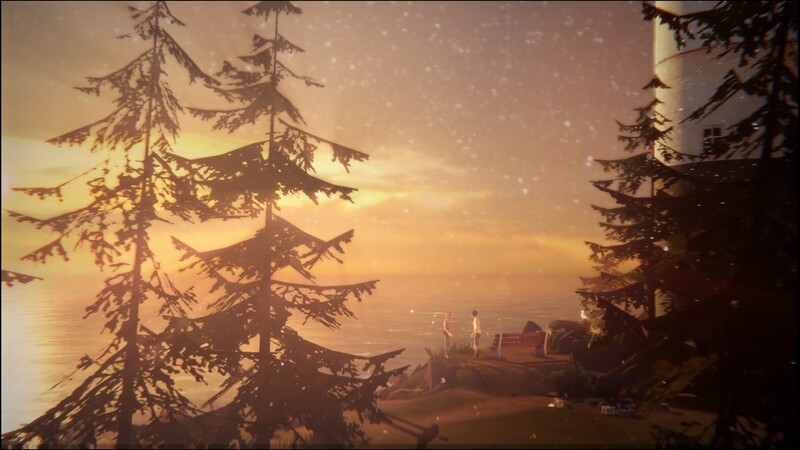 Suffice to say the main mechanic is novel and definitely makes Life is Strange stand out a little more from the current crop of story-first games. Thankfully Life is Strange does avoid the common pitfall of attempting to put in too many game mechanics that many story first games do, usually to avoid being lumped in with the walking simulators. The puzzles are relatively simple and the game usually gives you an indication of what you need to do through audio cues or visual prompts so it’s unlikely you’ll get stuck on them for any length of time. 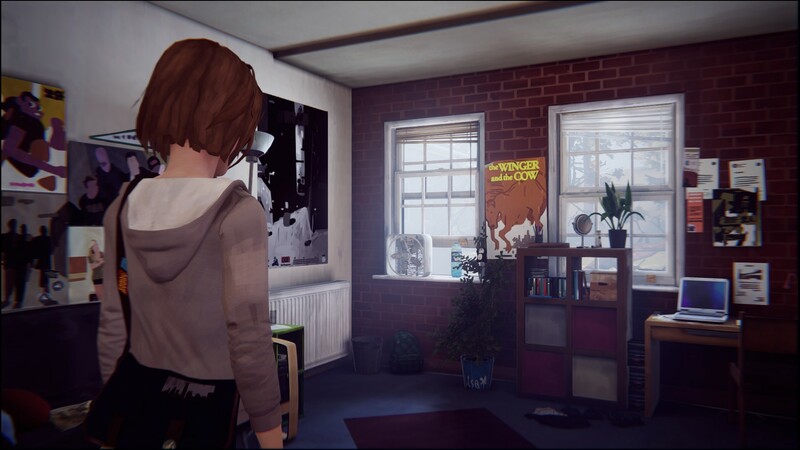 Instead Life is Strange encourages you to explore around your environment, uncovering bits of back story for all the characters you’ll come across and gaining insight into what Max is thinking. It’s a good balance, one that I’m hopeful more games like this will be able to achieve so their stories can shine rather than being hidden behind needless tedium. As this is the first episode of what’s shaping up to be a 5 part episodic game it’s hard to get a complete picture of the story however this first instalment is a strong one. Life is Strange does require you to explore quite a bit in order to get the full picture and there’s a treasure trove of back story hidden in the journal that’s never really made reference to. However if you spend the time to explore, read and soak in the various details of the story it’s clear that there’s a rich world of detail that the writers are drawing on and the supernatural aspects are simply an aside rather than the main draw card. Overall this first episode sets up the game with a strong base, now all that’s left is to see if they can build on that and, potentially, give Telltale a run for their money. Life is Strange is an interesting change of direction for Dotnod Entertainment, casting off their action roots in favour of a story first experience that, for the most part, achieves what it set out to. It’s quite clear where the majority of their focus was however and unfortunately some aspects of the game suffer because of it. I’m often of the mind that graphics don’t matter if the story is strong however Life is Strange’s art style and simplistic lip syncing detracts heavily from its well crafted story. This is somewhat made up for by the novel time rewind mechanic and strong story but it’s hard to escape it when you’re constantly reminded of the rather below par visuals. I am interested to see where this story goes however as it has the potential to set up Dotnod as one of the few developers able to execute well in the episodic game space. Life is Strange is available on PC right now for $4.99. Total play time was 2 hours.